Howard Hanna Holt Real Estate is pleased to welcome Licensed Sales Associate Brianne Fadale to the sales team at their Lakewood office. Fadale is beginning her Real Estate Career at Howard Hanna Holt after working as a Special Education Teacher. 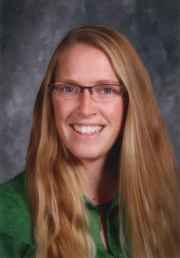 She holds Master’s degrees in Special Education and Secondary Education from the University of Edinboro as well as a bachelor’s in sports administration from the University of Louisville. Originally from Vermont, Fadale originally came to the area for a job with the Jamestown Jammers at the age of 22. After spending a summer, she knew the community was somewhere she could see herself building a life. For all of your real estate need please contact Brianne in the Howard Hanna Holt Lakewood/ Jamestown office at 305 East Fairmount Avenue at 716.484.4040 or by email at briannefadale@howardhanna.com.